If you are looking to buy a product for treating foot pain and have been advised to wear a night splint, it might be a little confusing as there are many different models, types, and styles available. Choosing which one to buy, unless you have been recommended one by your podiatrist or doctor, can be a difficult task. You can click to jump straight to buy on Amazon, or keep reading where I review these splints and discuss the various types available. I have listed the top 4 “best sellers” from Amazon below so that you can see which ones are the most recommended by people who have bought them. People do tend to opt for the more rigid models, such as those by Bird & Cronin, but the sock types are also very effective and may be more comfortable to wear. Some people find the rigid night splints to be too cumbersome during the night – but it will all be down to personal preference. make the best plantar fasciitis night splint. The splint is very lightweight and fully adjustable and is, therefore, an excellent choice when it comes to helping reduce plantar fasciitis or tendonitis pain. 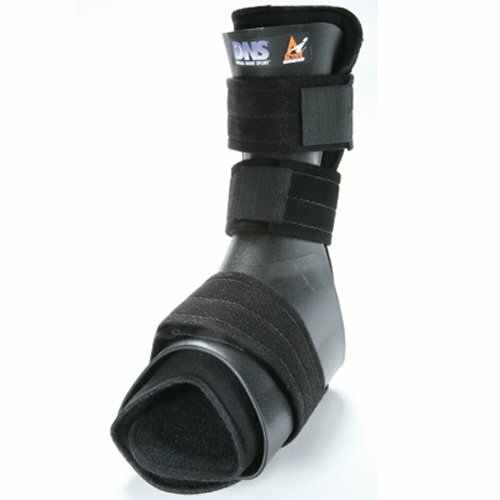 This splint is padded for comfort and fixes well to your foot, not sliding around as other models can do. They also come in different sizes, small, medium, and large and they can be worn on either foot. This is the larger size model of the product at number 1 in this list, just proving that Bird & Cronin are the most popular and respected night splint manufacturers. This larger model Night Splint fits men’s shoe size of 10.5 and upwards, women’s shoes of size 11 and up. This night support splint from Mueller is a lightweight model, designed to fit women with foot sizes between 6 and 13. This sock is very flexible, designed to help you walk with it on if you need to get up in the night and is comfortable to wear and fully adjustable. This model is most likely to be one of the best selling items due to the price. Other models from other manufacturers, may carry a more branded name and therefore might be a little more expensive, but this Mueller splint is an excellent choice. 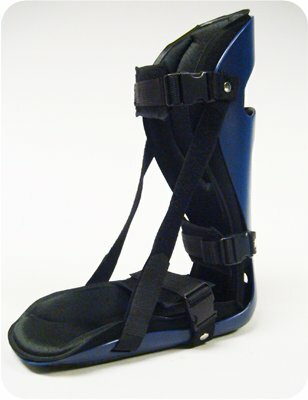 Many people complain that the more rigid models of the night splint, such as the Bird and Cronin model at number 1 can be too bulky and uncomfortable to wear – which is where products like this Active Ankle splint come in. Designed to be more “low profile” and less bulky or heavy, the Cramer Dorsal Night Splint will hold your foot in a neutral position overnight to help treat problems such as plantar fasciitis or tight calf muscles. This sock can be used to help stabilize your ankle or foot for most types of injury treatment where you need to keep your foot still when resting it. Worn overnight, these rigid or sock-like devices do help with painful feet first thing in the morning and can also reduce the overall effect of plantar fasciitis. They tend to come in 2 different styles, ones that are more rigid (and look like a skiing shoe) or ones that are more flexible, more like a sock. They both do the same job, holding your foot in a fixed position or angle so that the tissue on the sole of your foot cannot contract too much overnight and therefore stopping the pain that you might get first thing in the morning. Why are they good for my bad feet? The main benefit of using a night splint is that, over time, your fascia tissue and calf muscles will become stretched out and therefore the pain you might be experiencing from plantar fasciitis might even go away. When wearing the splint, the foot is held in a certain position, called “dorsiflexion“. This means that the fascia is stretched, not allowing it to contract and become tighter overnight. The great thing about a night splint is that the remedy is quite gentle and the fascia will be returned to its proper length over a period of time. Once stretched out, the plantar fascia will become less tense and therefore will cause less pain. Many people find (me included) that wearing a sock or splint overnight for a few weeks can really reduce the symptoms. If you feel the pain start again at any time, you can simply start wearing the device again for a few nights, which will help stop it returning. The benefits of using a splint have also been scientifically tested, with a study by the Department of Health Technology and Informatics in Hong Kong proving that using a splint as well as maintaining other treatments such as having good orthoses (shoe orthotics) is effective in improving patients with plantar fasciitis. This video from Slo Motion Shoes talks about the benefits of using one of these devices overnight, why they work and also shows how they are put on, which is not quite as cumbersome as it looks from the photos. What type of night splint should I buy? Luckily, there are a few methods of treatment that work well such as rest, ice and massage (using your hands or with a foot or Pedi Roller type device) but the best way to help yourself is to use a night splint or Plantar Fasciitis sock. These simple devices are worn at night and are designed to keep your foot bent upwards at a fixed angle, which helps stretch the plantar tissue and your calf muscles too. As you will already be (painfully) aware, plantar fasciitis hurts most in the mornings. This is because overnight the tissues across the sole of your foot tighten and become more rigid. When you swing your feet out of bed first thing in the morning, the initial pressure on the plantar area causes bad pains which subside after you begin to walk around and the tissues begin to loosen up again. I suffered from this terribly. Walking to the toilet when I woke up was very painful. How to wear a night splint. The splints and socks for treating plantar fasciitis should be introduced slowly to make sure you don’t cause any extra Injuries when starting to use them for the first time. Both types are designed to work at different tension levels and you should be encouraged by your doctor or podiatrist to increase the pressure on your plantar fascia slowly over time. When you wear a night splint, the tissue is not allowed to become tight and therefore, the pain does not occur in the mornings so much. I can’t say that the night splint will magically fix all of your foot problems, but you should definitely feel the difference after wearing it for a week or so. This quick video from the Raleigh Foot & Ankle Center shows how simply they slip on to your foot. How long do I have to wear the splint for? As you might expect, this depends on how bad your injury or pain is and how long you have been suffering for. Some people have reported that the splint has helped them within a few nights, with markedly less pain over the following weeks. However, some other people may require that they wear the splint for longer periods of time before they see any benefits. This can be annoying as they can be quite bulky, but if you persevere, it will be worth it. It will be best to start wearing the night splint for a short period of time, perhaps only 1 hour, then extending it gradually each night and week. Most splints are also adjustable, so you can alter the tension to suit. It may be that you need to start with it looser and make it tighter over time. The ideal target will be to wear it overnight or for around 4 to 5 hours. This is the perfect time period for the plantar fascia tissue to extend and begin to heal. “This thing is uncomfortable at first but if you use it even for a few hours a night, it makes a huge difference,” Dr. Aslman tells patients. He finds that after wearing the splint for the first night and waking up with less pain, patients are more eager to use the splints going forward. Does the night splint work for other injuries? You can use the night splint to help with other foot injuries and conditions too, such as tendonitis. Where the Achilles tendon has become painful or damaged, the splint will also help in the same way as it helps plantar fasciitis, by stretching overnight. However, tendonitis or problems with the Achilles tendon can be very problematic, so please speak with your doctor or specialist before you use the splint for that purpose. Buyers Guide: What types of night splint are there? There are 2 different types of night splint available; more rigid type or one that is more like a sock. There are no differences between the 2 types that means that one type is better than the other. They both do the same job and are designed to do the same thing but just in slightly different forms. The rigid type, which looks like a snow boot or ski boot, is better at preventing your foot from moving at all in the night, which can be uncomfortable for some people, especially for the first few times. The rigid night splint can also be more of a hindrance if you get up in the night to go to the toilet. Walking with one on is not the easiest thing in the world – especially when you are half asleep. The sock type operates in the same way but they are much more flexible and are not quite so uncomfortable to wear. However, many people find that the socks can cause more numbness as it is important that they are pulled up as far as possible. It ensures that the strap that goes from the toes up to your shin is tight enough to stretch the bottom of your feet. 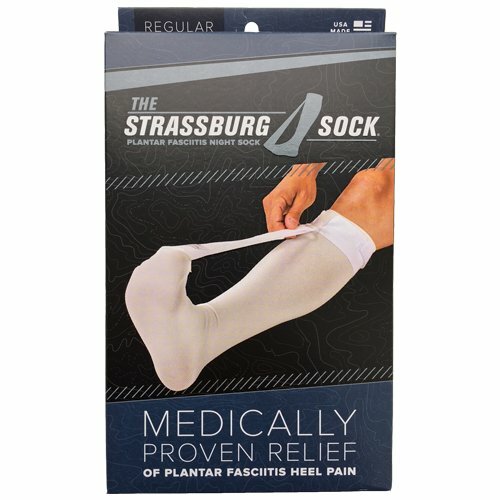 I have used the Strassburg Sock, which really helped my Plantar Fasciitis problems. 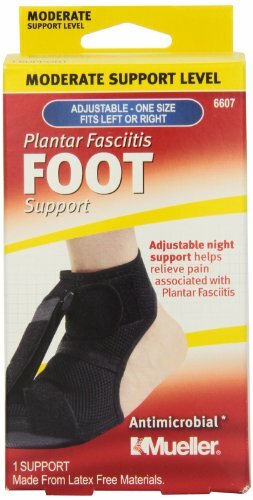 Which are the best plantar fasciitis night splints for you? In my opinion, the most appropriate night splint will depend on how well you sleep. If you are like me and cannot have anything on the end of the bed so that it is resting on your feet, then a less restrictive plantar fasciitis sock type splint will be the best one for you. I am also quite a light sleeper, so having to wear something that is annoying would have meant I was waking up more often in the night. However, if you are a heavy sleeper who tends not to toss and turn all night, then a more rigid model may help best. Where to buy night splints for plantar fasciitis. There are many different version, sizes and types from all different manufacturers over at Amazon.com. I recommend the splints from Bird & Cronin as I have spoken to many people that have used them. They come in different sizes and are fully adjustable to suit your particular needs.